Since finding out about the #FOAMed movement I have been amazed by the numerous valuable medical resources I have seen shared on Twitter. As a medical student, I know that joy you experience when you find a resource, whether it be a website or textbook, where everything is explained in such as way that it falls into place and you finally understand something you have been struggling with for hours/days/weeks (sometimes years). Many of the links I have seen have caught my intention and I have filed away a mental note to come back and look it up later. But then life gets in the way and it is forgotten. And much of these amazing resources are being lost to the Twitter archives in much the same way. In an effort to find a way to collect all of this information, I have come up with the concept for a website tom compliment current FOAMed developments. This is a website I am happy to build in my spare time over the coming months, but I do not want to invest time if it is not wanted, doesn’t fit a need, or if the need is currently being addressed by another site that I don’t know about. Please provide feedback on this concept either below or on Twitter to @futuregp. Thanks! To index all of the FOAMed online resources and useful medical education links from around social media onto a structured central repository for easy searching and archiving. The site aims to be an invaluable resource for medical students and practitioners. The website would allow public submission of resources for publication to the directory. The ultimate aim of the site is to be the worlds largest and most comprehensive directory of free online medical education links and resources. The website would allow public submission of resources for inclusion to the directory, which would then be reviewed by an editorial team before inclusion. Any member of the FOAMed community who submits a resource or link to the directory. Anyone with a valid account would be able to submit links. Archivists would be publicly acknowledged and thanked on each of their submissions. All submissions would be reviewed by the editors before publication to the directory. A team of volunteers who would review submissions for quality, ensure appropriate descriptions, tags and categories have been included and then approve for publication to the directory or reject if it does not meet minimum requirements. This would allow for classification of resources by medical specialties and areas of professional interest. This would define the required level of training or intended audience for the material eg Pre-Clinical Medical Student, Clinical Medical Student, Junior Doctor, Consultant etc. This would indicate the type of resource, whether it be a guideline, hints and tips, tutorial, case study, discussion, lecture etc. Allow site users to rate resources and provide comments about them. Allow users to filter the site contents based on the different categories, such as the faceted search as on the left hand side of iStockphoto website – example here. 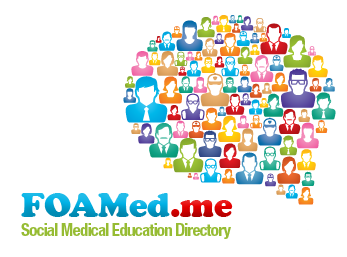 The success of the site will be dependent on a team of dedicated #FOAMed archivists and editors who are happy to submit links as they are discussed or shared on Twitter and other social media and FOAMed sites. We can also encourage Medical Students and Clinicians around the world to submit their favourite resources and websites so that we can build up a comprehensive directory. To find past #FOAMed resources we can extract a full archive of past #FOAMed tweets through pro.topsy.com and then have an online working bee to import all of the past links into the new website. This would provide a valuable start to the site for launch. This is just my basic idea and I think it could develop further, but I wanted to put it out for discussion and go form there. So please let me know what you think and let me know if you are keen to help develop the idea further. Thanks! Love the idea Dave. I suffer from the ‘that looks great then forget to read it later’ disease also. It would be nice to come up a favourites list somehow too. More than happy to help out with the work!! Isn’t this what GMEP is about? I have a start on this at wikemerg.ca. I have started with link dumps on diagnoses/complaints based on Reuben strayer’s (@emupdates) circle of death/wheel of diagnosis. The site is built with roles similar to you have layed out above (& this is customizable based on community input). I am looking for help and direction and am open to input. If you are interested in collaborating contact me on twitter @rainedoc or admin at wikemerg dot ca. Copyright © 2014 DT Studios & David Townsend. All Rights Reserved.